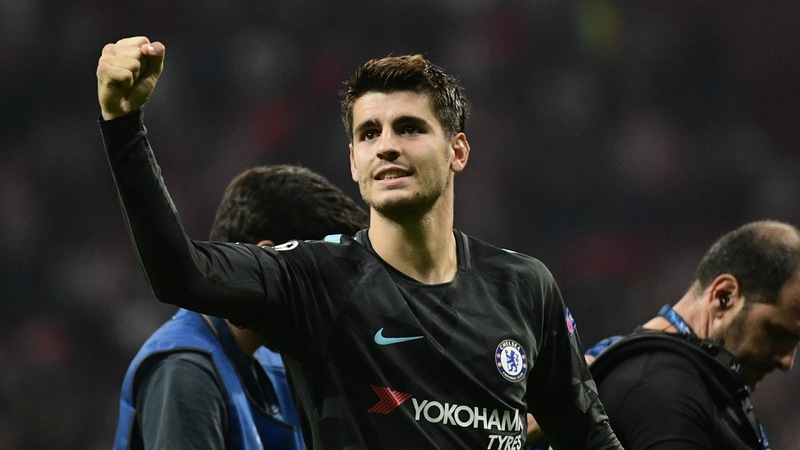 Alvaro Morata - What a start at Chelsea for the elegant, classy striker with much more to come. 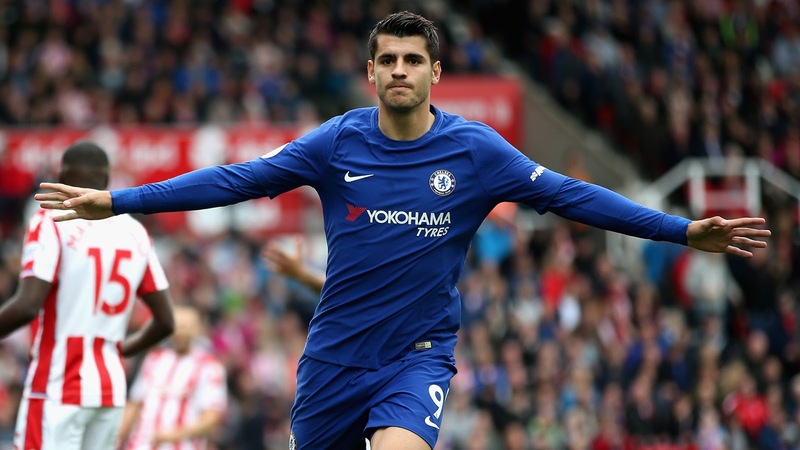 Alvaro Morata has made a blistering start to life at Chelsea with seven goals in all competitions including his first hat-trick against Stoke last Saturday. Tambling, Greaves, Osgood, Dixon, Hasselbaink, Drogba and Diego Costa, all iconic names that live forever in our hearts for what they have to our football club playing as the main striker. 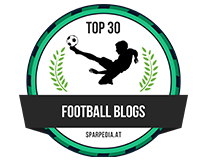 Yes, there has also been those famous players who have played up there with the main striker such as Zola, Hazard, Gudjohnsen etc but to be the number one is a difficult task for many reasons. First and foremost you MUST become the focal point for the team. Whether that's as an out-ball when we have our backs against the wall under pressure or, as the main point of our attack going forward. Secondly you have to be strong enough to cope with the physical aspect of our game in England. You need to make the ball stick when it's played up to you, to hold it up and bring your team mates into play. Thirdly, you need to be a team player and someone that is willing to graft, to put the hard work into the game and to do that at times when you are not going to get chances to score. Whether that's tracking back and helping out at defensive corners, getting back behind the ball or making runs off of the ball to open space for your team mates to move into. Finally and most importantly of all you need to score goals and when I say goals I mean all sorts of goals. Tap-ins, headers, goals from distance and goals created from nothing, you have to put the ball in the back of the net. I think you will agree that Alvaro Morata has all of that in his locker and has already proven that he can score goals in a Chelsea shirt. The difference between Morata and Costa? Morata is an elegant footballer and almost dare say it, classy compared the aggressive Costa. "It’s great that, after Diego, we have another striker coming in and scoring straight away. I’m sure Alvaro wasn’t surprised by the pressure. He knew that it would be there when he joined and he came from a huge club anyway. Being a striker for Chelsea comes with a lot of pressure, but he has played with big players and big teams. He knows how to handle that and I don’t think it has been an issue at all. The easiest thing I found when I joined (in 2012) was that I knew a few people beforehand. 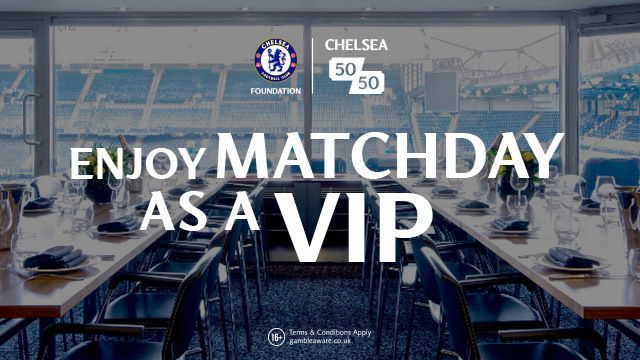 It was early doors but I was in there with Ashley Cole, Frank Lampard and JT. A few familiar faces helps and there are obviously a few Spaniards that Morata knows here. He is a fantastic guy, down to earth. His personality makes it very easy to get on with him. You can see from his performances that he is enjoying life at Chelsea. For us, it’s about having his back and making sure we provide for him. The lads up front did that at Stoke. He finished all his chances off and his confidence is flying.” - Source: London Evening Standard. 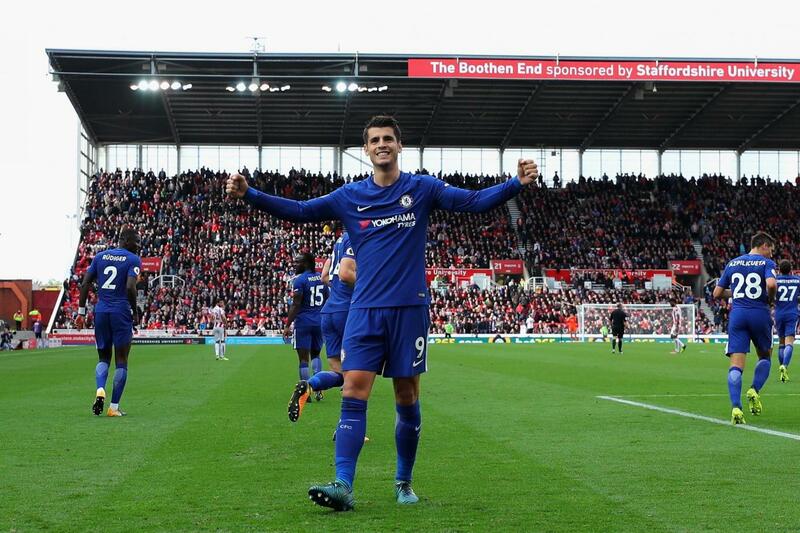 I posted up on here before the season started that Alvaro Morata would prove to be a better signing for Chelsea than Romelu Lukaku and a few months into the season, despite Lukaku's scoring record so far, I still stand by that because of his all-round game. Morata's performance last night as Chelsea beat Atletico Madrid 2-1 is yet another demonstration of the real quality we have in Morata. He worked his socks off up front, made the ball stick, took people on to get his shots on goal, scored a header and gave us a glimpse of the understanding he already has with Eden Hazard which is more than exciting to see how that develops. Alvaro Morata was a big, big money signing for Antonio Conte and Chelsea this summer. Just a couple of months into the season with seven goals coupled with fantastic performances, it's money well spent. What a player we have on our hands here now. Who needs Diego Costa!